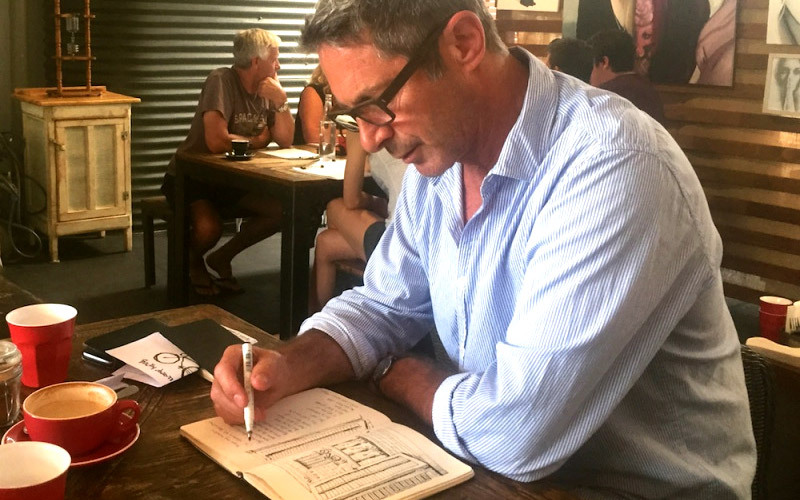 Tony McNeight brings to New Zealand for the first time the Erin Hill travel sketching method. Erin Hill Sketching New Zealand’s art studio is based in Devonport, Auckland at the bottom of Mt Victoria. Our Australian school is based in Manly Sydney where it is run by the founder Erin Hill. Tony is a well known creative, graphic designer and teacher. He is also an exhibiting artist and a dedicated travel sketcher. 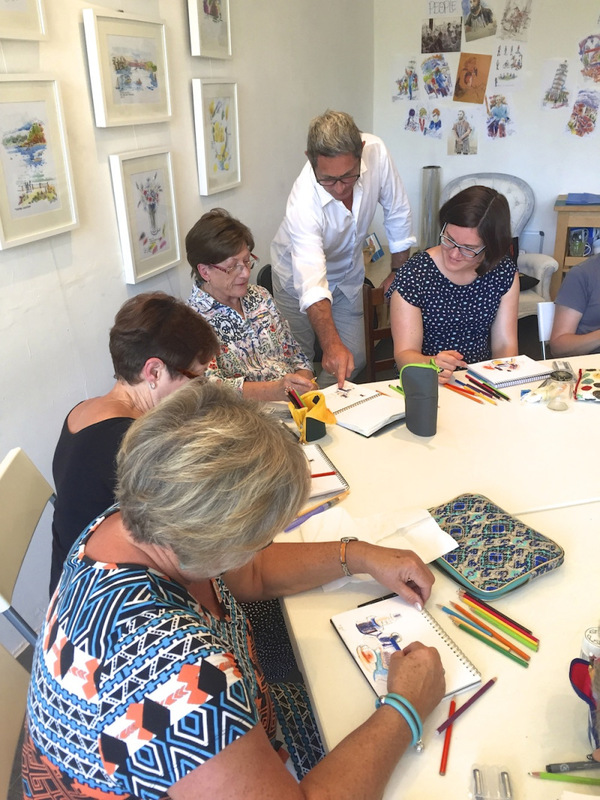 Tony will run the 10 week 3 hour art courses on Tuesdays and Saturdays. 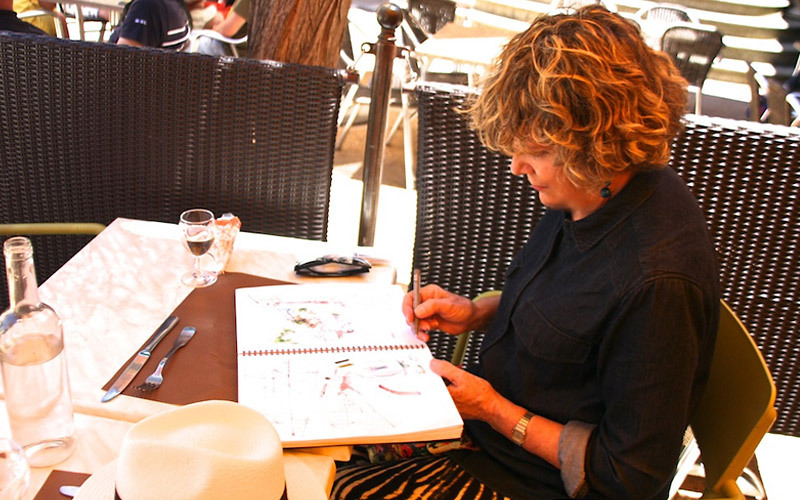 Each week he will take you through a programme of foundation skills with the simple Erin Hill method until you become a confident and passionate travel sketcher. The sessions start with class tutorial followed by field sketching and then enjoying our results over coffee. So many of us were told at a young age, possibly at school that ‘we could not draw’ or, were not good enough. Our brains then engaged in “I cannot draw attitude” throughout the rest of our working lives. Travel sketching is a perfect way to re engage the creative part of your brain that has been lying dormant, through a series of classes that will have you sketching in no time and enjoying exploring your new found creativity.